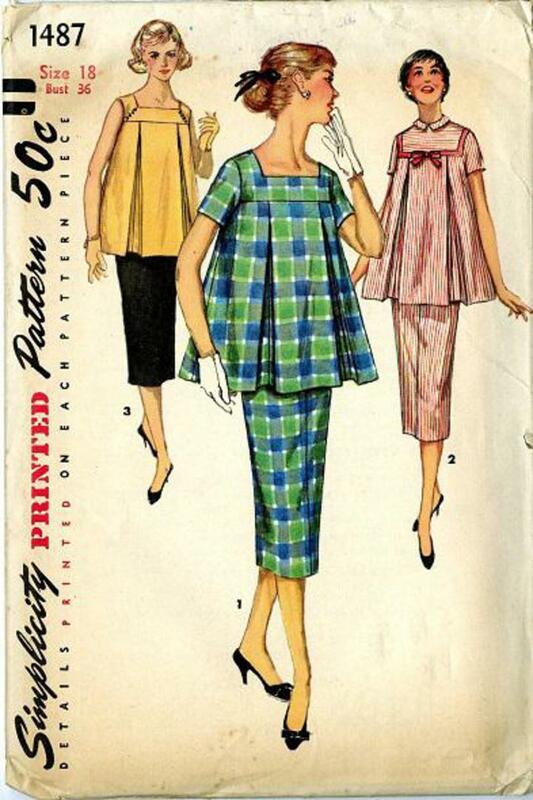 1956 Simplicity #1487 vintage sewing pattern, misses' two-piece maternity dress, plus size 18. The charming fashion for the mother-to-be features a slim skirt that is adjustable at waistline and has a pleat in back for walking ease. 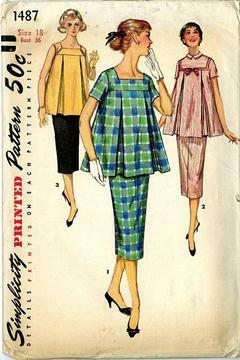 Matching or contrasting top has inverted pleats over side front and center back seams below yoke. Top may have short sleeves or be sleeveless.